Saturdays are quickly becoming my favourite days as it means that I will again be introducing you to another fabulous British blogger! Today, I have the great pleasure to have Jessica from Booked Up! Please give her a warm welcome! There are always plenty of fantastic reviews and interviews over at Jessica's blog and she is a joy to know. First can you tell me something about yourself and your blog? I'm Jessica, the blogger behind Booked Up! I've only been blogging for around 10 months, but love every minute of it! I mainly read YA books, and have my fingers crossed to get a career in publishing someday! Whenever I get asked this question, my mind goes blank. It wasn't even that long ago that I started being a book blogger, but I can't really remember what pushed me to start my own. I think that I was just looking through Chicklish run by Luisa Plaja, when her list titled "Favourite Book Blogs" that is down the sidebar caught my eye. I spent one, maybe two hours looking through a bunch of book blogs. During that snoop, I discovered so many awesome new authors and books to try out! Then I thought to myself about how phenomenal it must be to own one of these book blogs, and figured I could start my own! Reading and blogging dominates my life right now, but on the rare occasions when I'm doing neither of those things, I love going out and about! I go for long walks on the beach with my two hell hounds, go to town and shop all days with a few friends, go for a peaceful bike ride etc. However, unfortunately I'm starting to enter GCSE work and have been getting an unbelievable amount of homework! I hate how much time homework is taking up, and how little I have left to read and blog. I can't wait for my exams to be done and dusted! Great question! I just need to have a little search at Booked Up! *Goes back 10 months* The first book I ever reviewed at Booked Up! 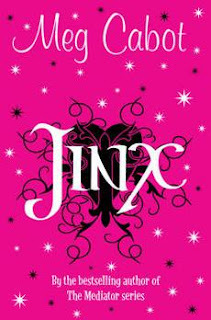 was Jinx by Meg Cabot. Though I beg you not to look at that review, as my first few reviews were awful! Probably when I got my first ever review request from a publisher. Having someone very important and professional send little me an email asking me to review one of their titles was like a dream. Ahhhh, please don't ask me this!!! Haha! I honestly don't have one favourite book, but if I had to pick one of the top 10, I'd say The Immortal Rules by Julie Kagawa. Miss. Kagawa's version of the popular Vampire story was by far the best. Edie from the Threads series by Sophia Bennett. Edie sounds like a real sweetheart, and she loves blogging and the environment. Me and her would have a lot in common and would chat for hours! Ooo, tough one! I could list about 100 book bloggers here, but I'll try and cut it down to 5! Kyra from Blog of a Bookaholic. 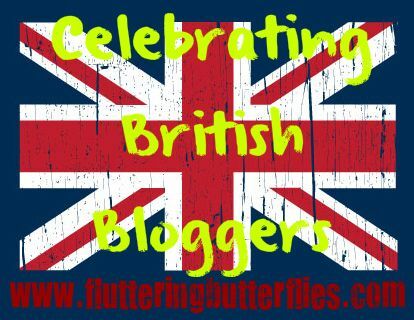 I've chosen these 5 as they have all been amazing friends to me, some of them from the very start, and all have lovely blogs that I spy on everyday. 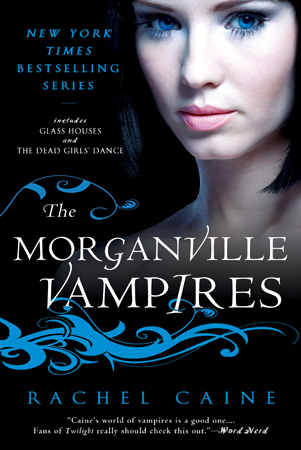 It would be pretty amazing to meet the phenomenal Julie Kagawa and have a chat and get her to sign my books. Her writing style is just...engaging and wonderfully descriptive. But if you'd asked me this question 5 years ago, I would have screamed Jacqueline Wilson without a moments hesitation. Jackie books were all I read as a child, and are what got me into reading at the start. There's not really anything I'd like to see less of, but I would love to see more YA with a male point of view! It's so funny to read from a guy's POV! Oh wow, so many to choose from. 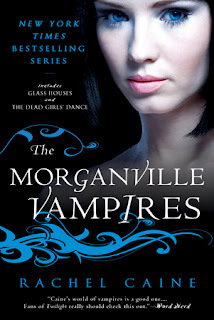 Probably Shane from The Morganville Vampires series by Rachel Caine. He is just everything perfect rolled into one. However, if I didn't know the lovely Shane Collins I'd say Sam Roth from The Wolves of Mercy Falls series by Maggie Stiefvater. Thanks so much for having me here, Clover! Thank YOU Jessica! I really love Julie Kagawa as well. I'd love to meet her, especially as I adore The Immortal Rules. I'm still in the middle of reading the second book in teh Wolves of Mercy Falls series, but Sam is pretty swoony! What do you guys think of Jessica's answers? Do you think you could be best friends with Edie from the Threads series? Have you fallen for Sam or Shane? 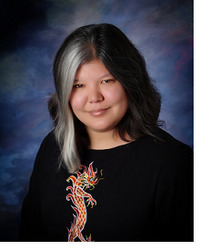 Would you love to meet Julie Kagawa? Let Jessica and I know in comments! Yay! I've recently followed Jessica and have enjoyed chatting to her on occasion and looking at her blog. I love interviews so you can get to know people better! 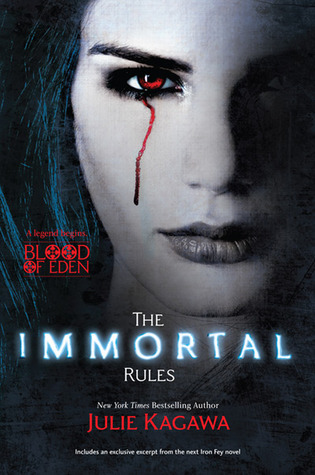 I loved the immortal rules as well! And i've only read the first book in the series but Shane is a pretty grand guy! Thankyou so much for having me on Fluttering Butterflies, Clover! You don't know how much I appreciate being on such a wonderful site. You questions were so much fun to answer, so thanks again for inviting me here!